This post has by second ever cooking video that I know you will like! Enjoy below! I wanted to make something that will remind you of your school days. Many kids often went for the frozen pizza and french fries for lunch every day, I know I did! So I wanted to take these childhood tastes and adapt them for today’s standards. 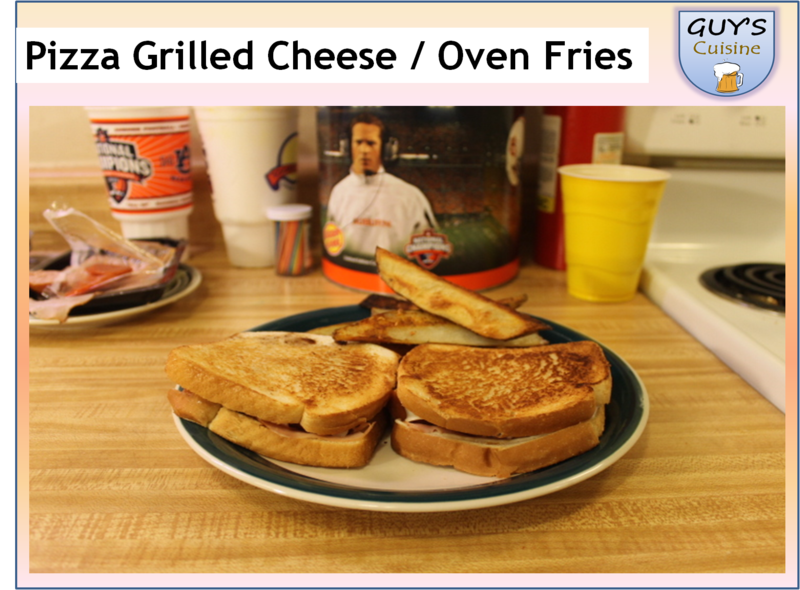 I turned the frozen pizza into a three-meat pizza grilled cheese sandwich. The french fries are turned into oven baked french fries! 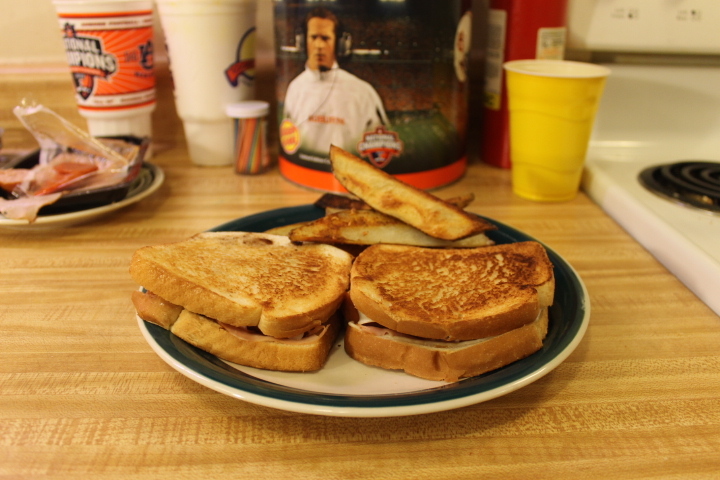 To get started, here’s what you need for the fries and sandwiches! 1. Preheat oven to 450 degrees. Cut potatoes into wedges. 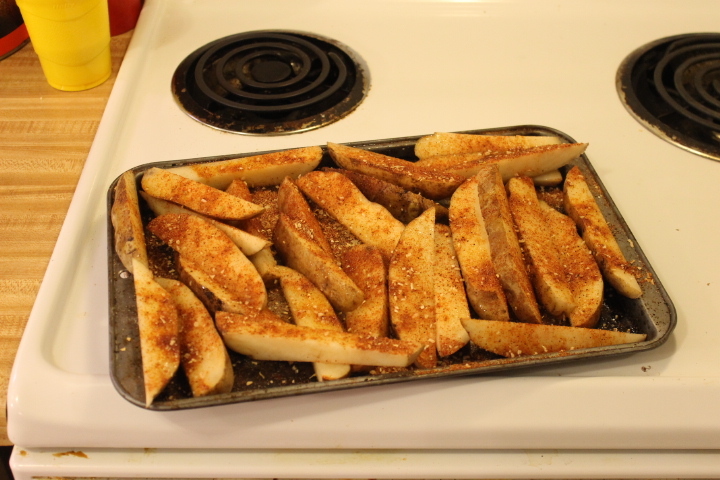 Then brush with olive oil and mix together paprika, and onion, chili, and garlic powder and sprinkle onto potatoes. Place potatoes in oven for around 45 minutes. 2. 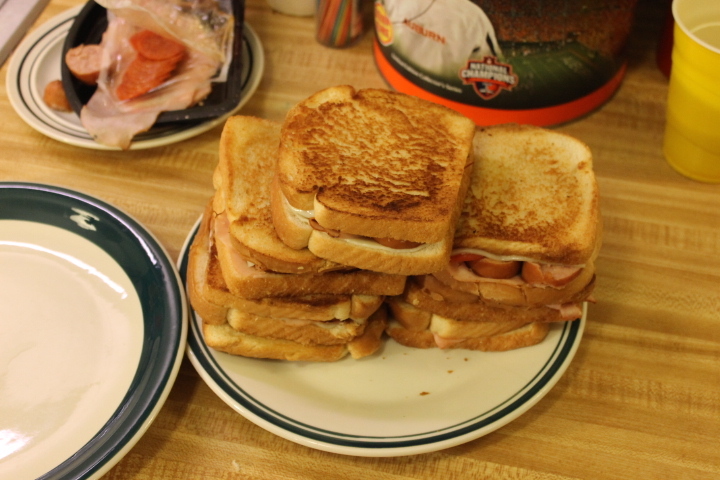 Butter bread then layer with mozzarella, pepperoni, sausage, and ham. 3. 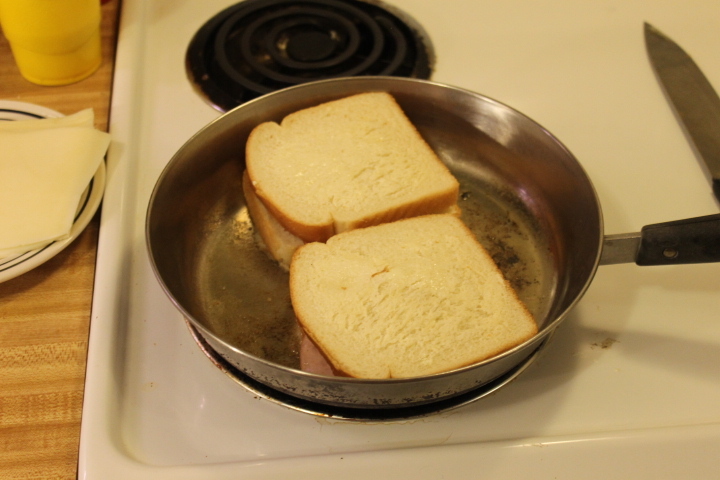 Place sandwiches into hot skillet. Cook both sides until golden brown. 4. 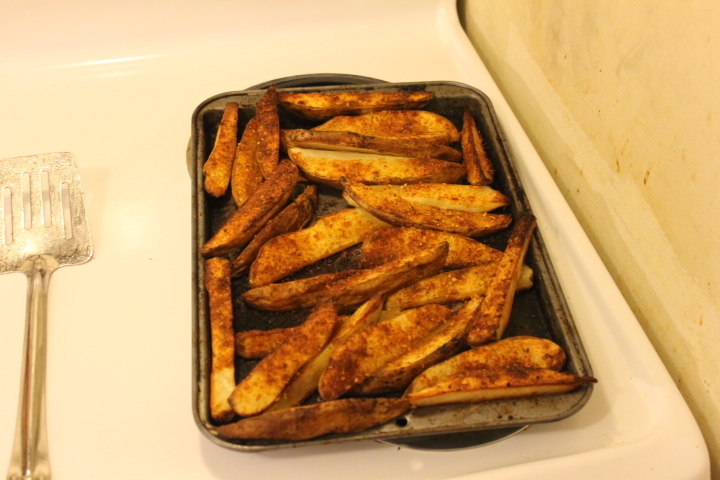 Take fries out of oven after 45 minutes. 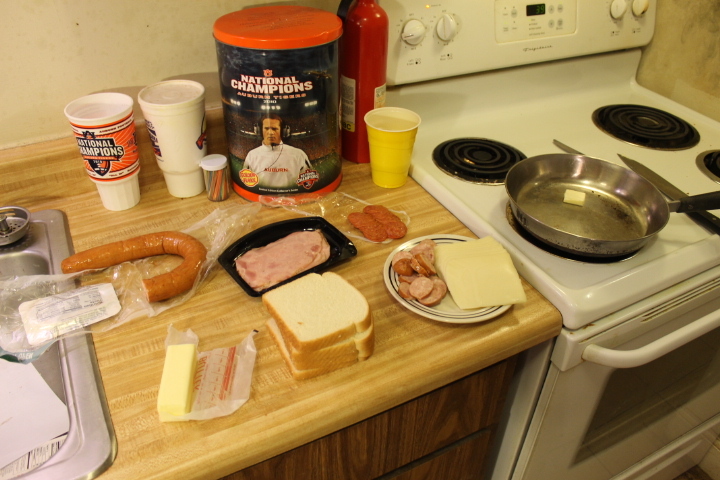 Cook sandwiches until you run out of ingredients! There you go, I hope you enjoy this recipe post! It was good!